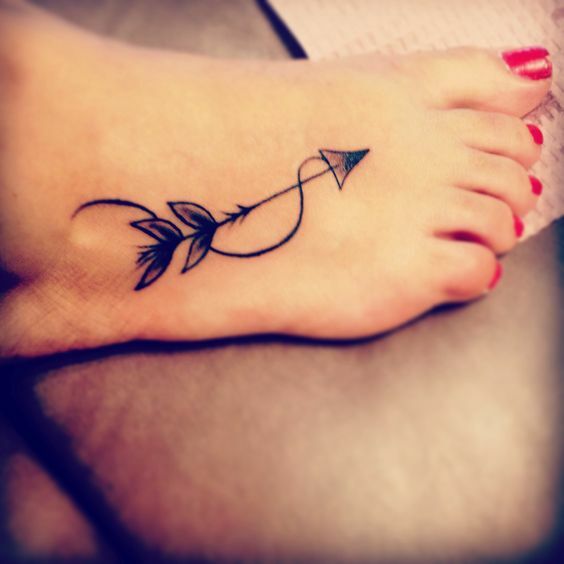 Arrows are quickly becoming some of the most popular designs for tattoos. With all the different styles of arrows, they can be used to signify almost anything or can be interpreted into many different ideas. 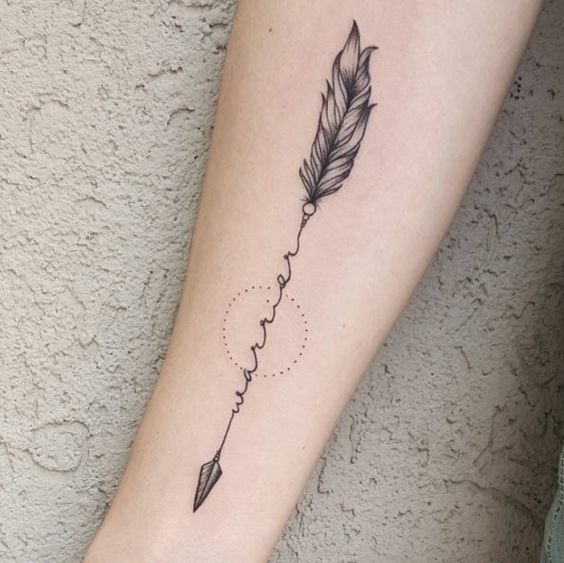 Originally, arrow tattoos were used by Native Americans as a means to keep a record of their history but the ideas would differ depending on the tribe. 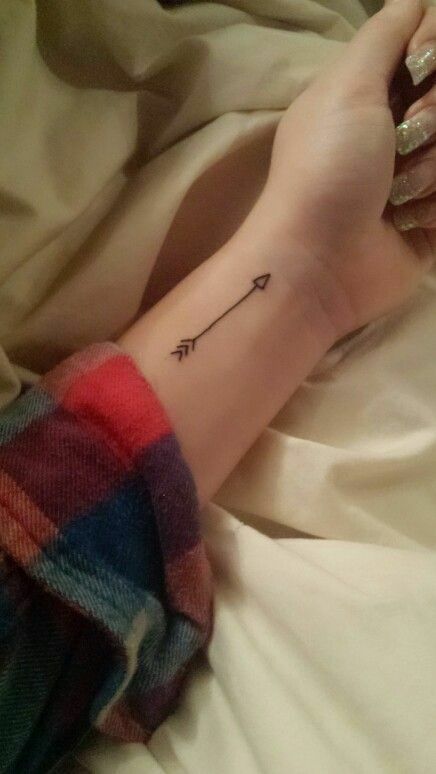 Now, arrow tattoos have become extremely mainstream but one of the most common arrow tattoo meanings for an arrow is signifying positivity in life or even a flashback to any old cupid’s arrow. 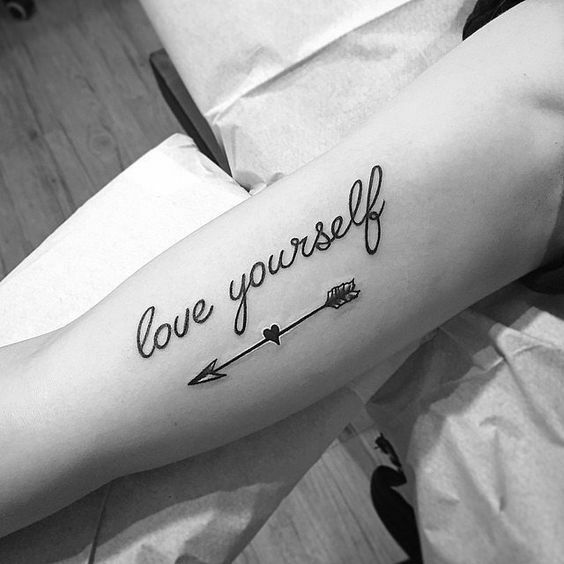 No matter what meaning you’re looking for or if you believe in any meanings for arrow tattoos, Pretty Designs is here with some ideas. 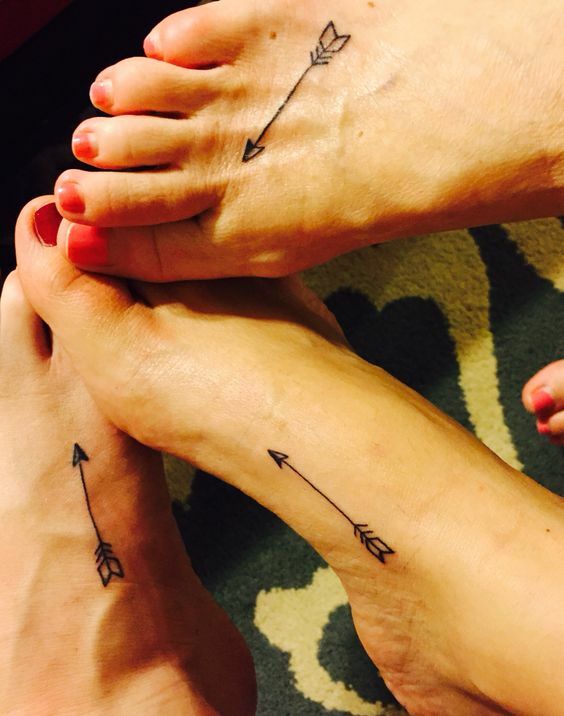 This family arrow tattoo is more than likely showcasing children but you could use it for any family members. 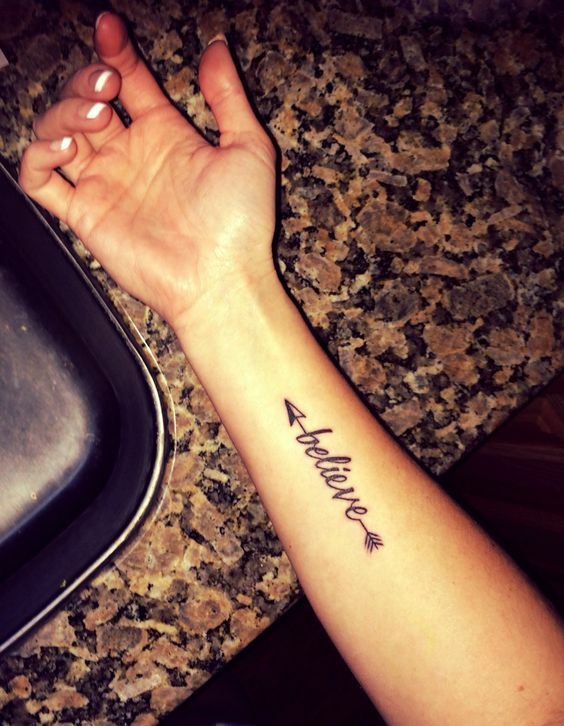 This style would be great if you’re getting a matching tattoo with a family member or if you’re looking for a unique way to display names or quotes. 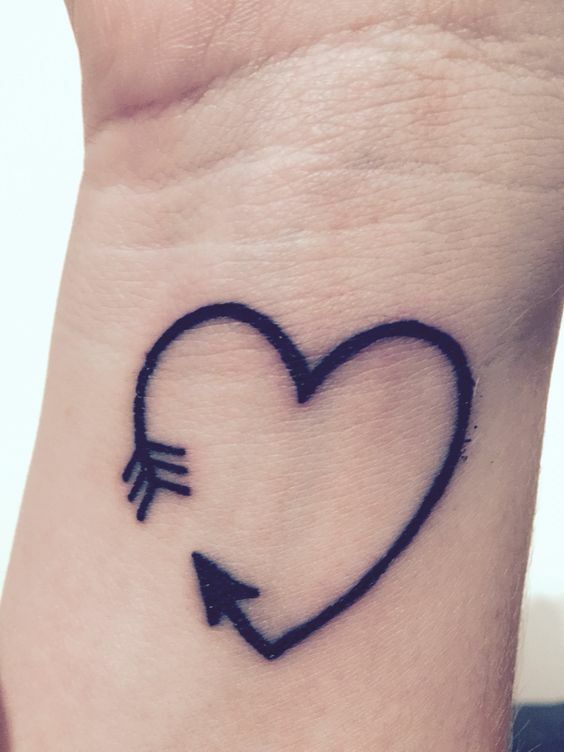 This arrow tattoo is a little bit different because the arrow actually has a heart in the middle. 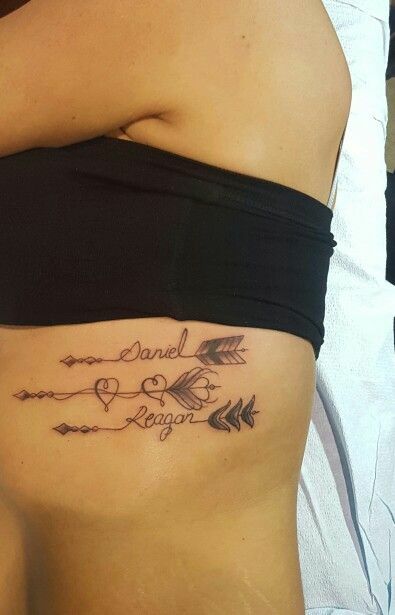 The heart and the arrow wouldn’t normally go together but end up looking great. 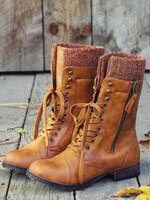 Then there’s the quote above that can obviously be customized to whatever you’d like. If you still want the look of an arrow but want a quote, try putting the quote inside the arrow. It’s a unique way to incorporate two symbols without taking up too much space. 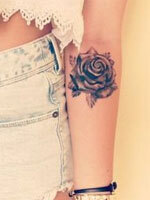 If you like the look of the previous tattoo but want something a little bit more detailed, this one might be for you. It has a lot more decoration especially with the circle and the details of the arrow. 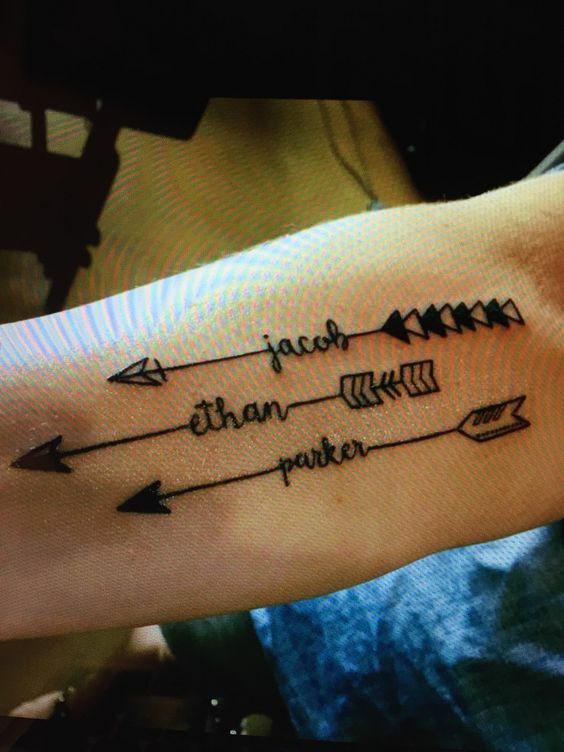 Armband tattoos have always been popular but using an arrow is a really unique idea. 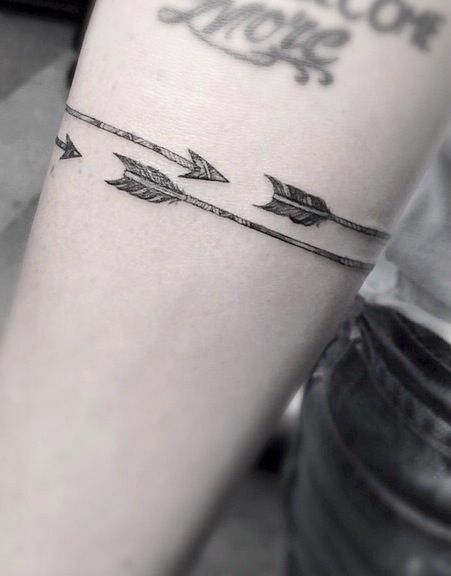 Getting an arrow armband would also be a great way to add some color to your tattoo as well. 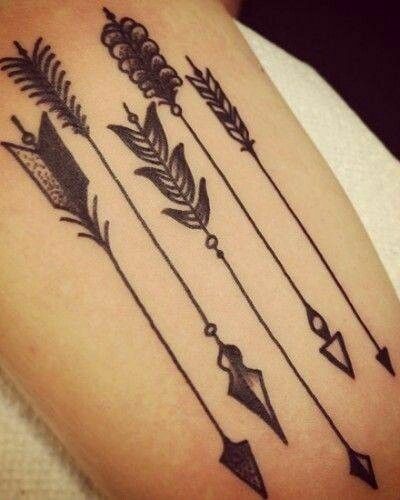 Usually, arrows never come in a single package so adding a multiple arrow tattoo design is perfect. 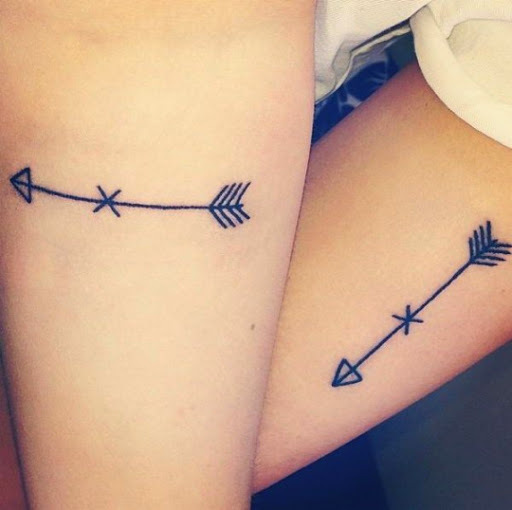 The arrows are also all at different lengths which could symbolize something to start of something new or being hesitant to start something new. 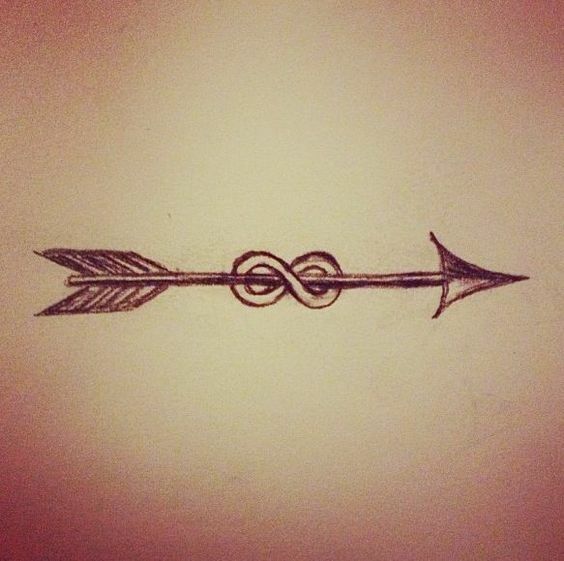 Arrows and infinity signs are two great symbols and when combined together, can symbolize something completely different. 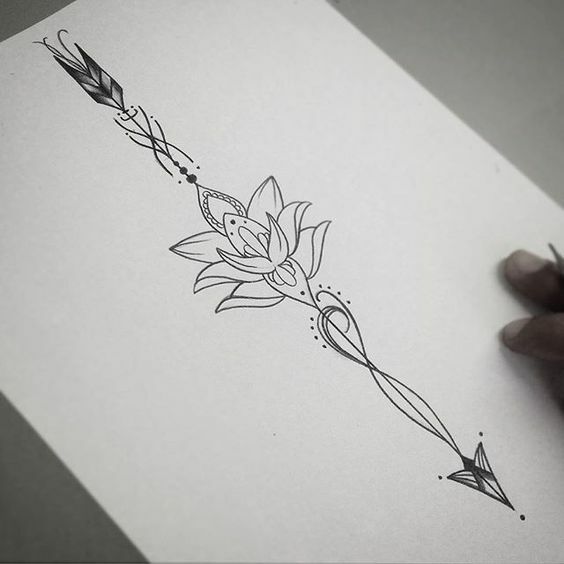 This design is also extremely minimalist which would be great for a first tattoo or one that doesn’t command a lot of attention. 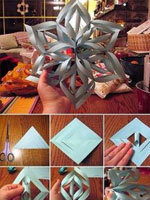 If you don’t like the look of the arrow as is, you can always transform it into a different shape. Making it into a heart is unique and without an actual end to the tattoo, the possibilities are wide open. 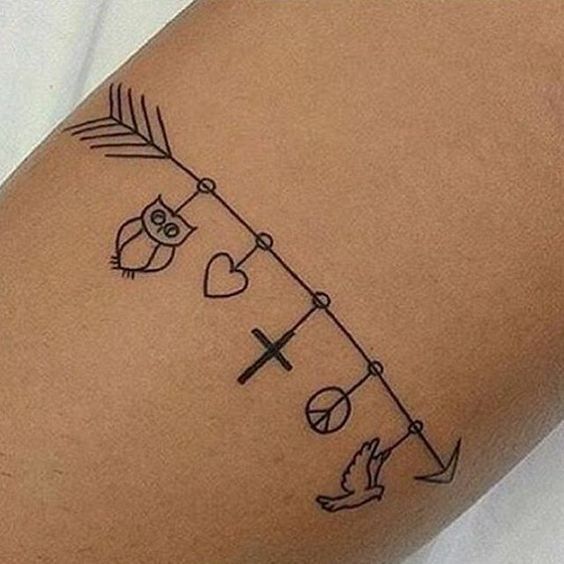 Do you love this cute tattoo? 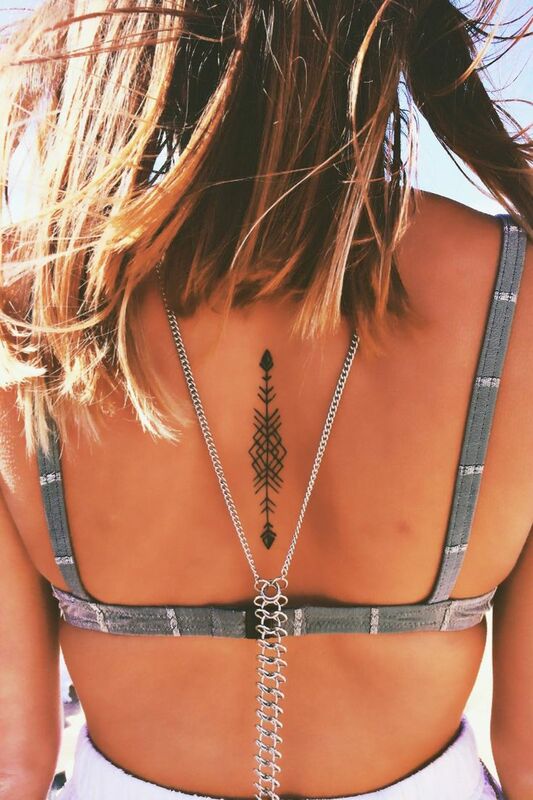 And here are more tiny tattoos you may love. 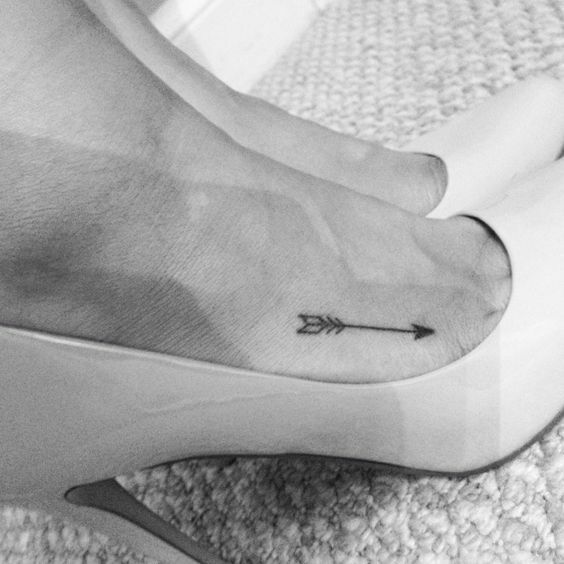 Arrow tattoos work great as a base for incorporating other tattoos. 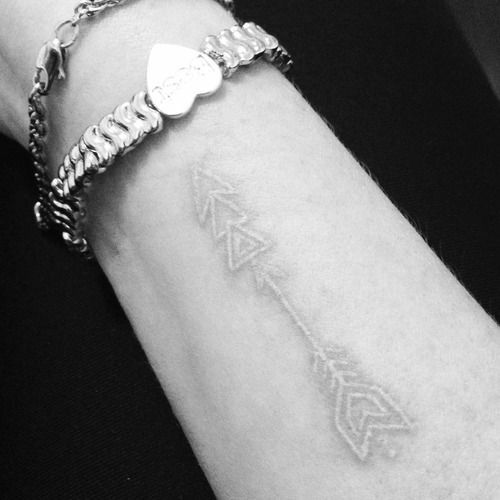 This cute small tattoo uses the arrow as a bracelet and the other symbols act as the charms. It’s a really unique way to incorporate two seemingly different designs. 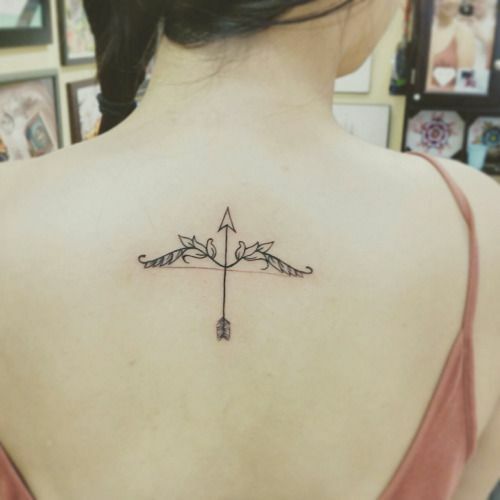 Arrows are typically associated with bows so why not tattoo the bow on there as well? Adding the bow is so underrated and unique because most people just think of getting an arrow. 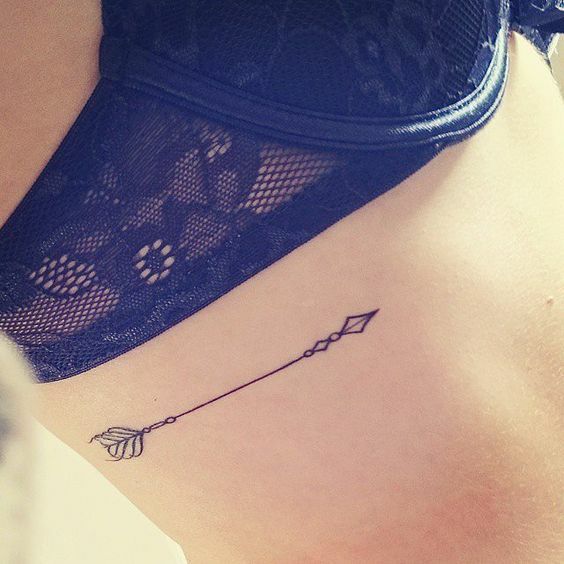 Most people who get arrow tattoos prefer something simple in black ink. If you want something different, try getting a color version of multiple arrows. 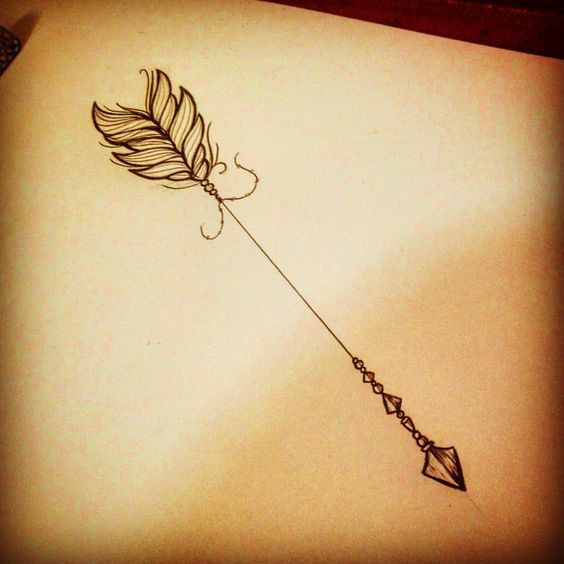 It would look a lot more fun and a more creative approach to arrow tattoos. 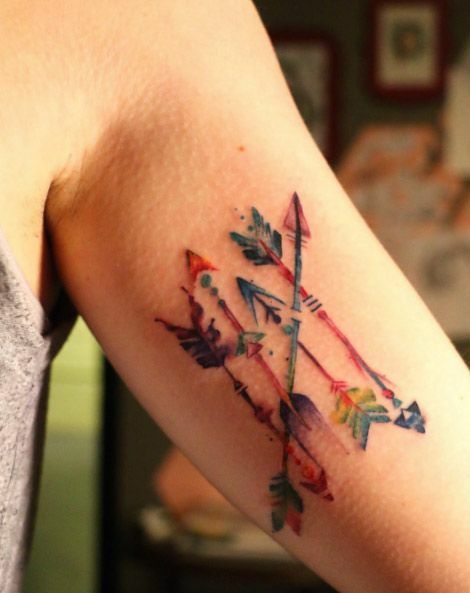 Watercolor tattoos are becoming extremely popular and combining it with arrows is a great equation. 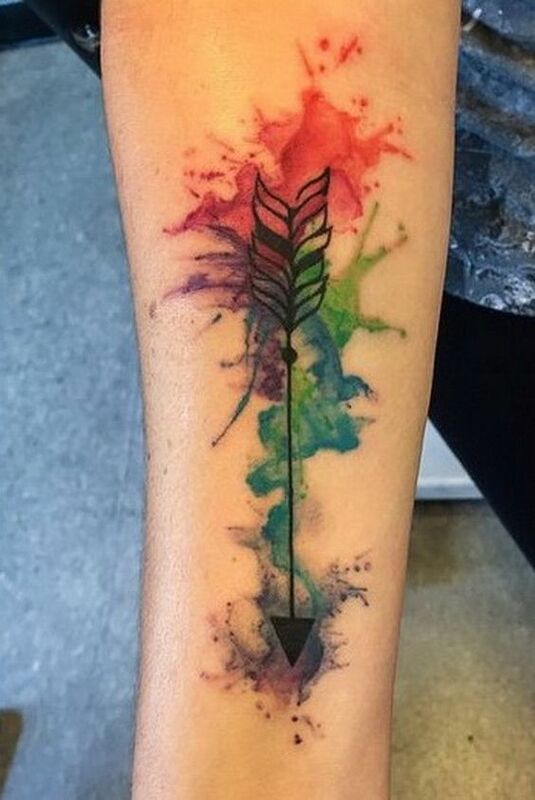 This tattoo looks extremely colorful even though the arrow itself is black but the background of the different water colors really makes it stand out. Arrows don’t always have to have the same distinct look. 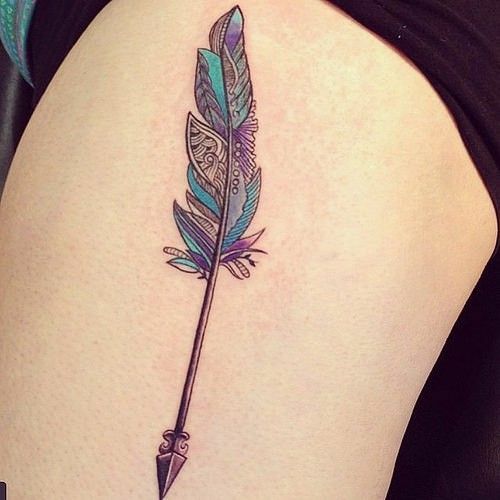 Try substituting a feather in for the back of the arrow and it will give you a chance to customize your tattoo even more and add some color if you desire. Maybe you don’t want the same black-inked arrow. 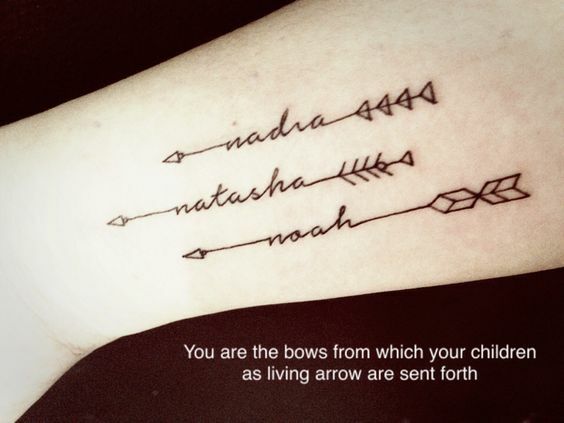 Try getting an arrow design in white ink then. 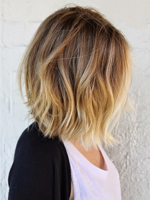 It will look a little bit different but still keep the same concept. 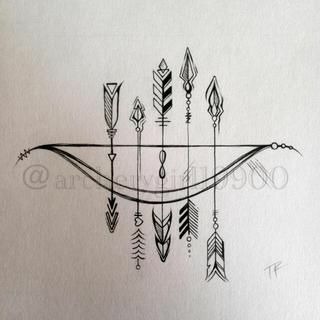 This last idea is the classic arrow tattoo design. You can’t get much more original than this one and if you’re just simply looking for an arrow design, then this might be right on target. 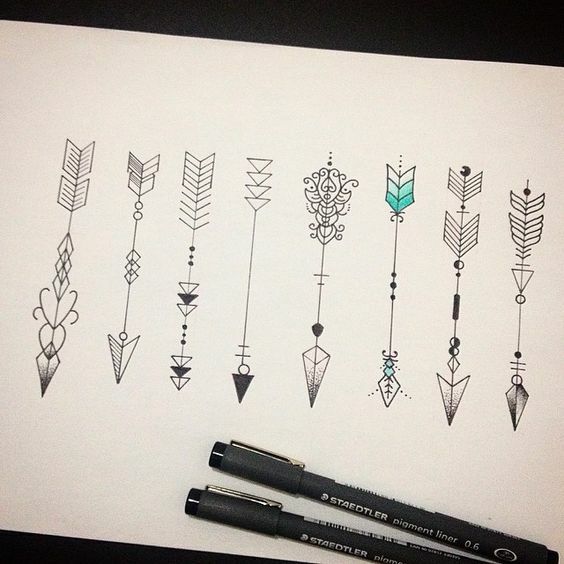 Update: and here are more cute and cool arrow tattoo ideas for you to choose from, enjoy.